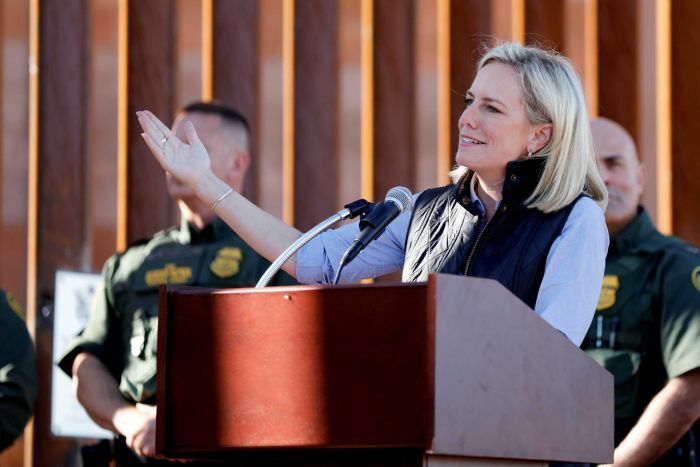 US President Donald Trump says Homeland Security Secretary Kirstjen Nielsen is leaving her job amid growing frustration by the administration over the number of southern border crossings. “[She] will be leaving her position, and I would like to thank her for her service,” Mr Trump tweeted. Mr Trump said Kevin McAleenan, the current US Customs and Border Protection Commissioner, would become acting secretary. Mr McAleenan is a longtime border official who is well respected by members of Congress and within the administration. The decision to name an immigration officer to the post reflects Mr Trump’s priority for a sprawling department originally founded to combat terrorism following the September 11 attacks. I am pleased to announce that Kevin McAleenan, the current U.S. Customs and Border Protection Commissioner, will become Acting Secretary for @DHSgov. I have confidence that Kevin will do a great job! “I have confidence that Kevin will do a great job!” Mr Trump tweeted. Ms Nielsen’s department has been responsible for carrying out some of Mr Trump’s most contentious policies, such as his plan to build a Mexico border wall and the separation of migrant children from their families. She has been repeatedly subjected to tough questioning by Democrats in Congress. 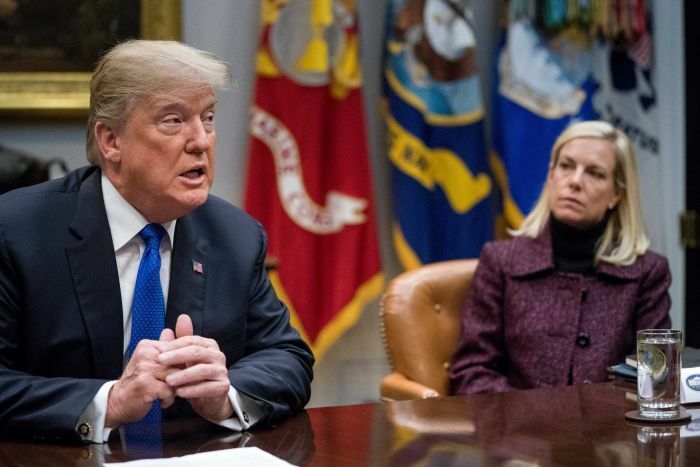 The resignation comes after Ms Nielsen travelled to the US-Mexico border on Friday with Mr Trump to participate in a roundtable with border officers and local law enforcement. There she echoed Mr Trump’s comments on the situation at the border, though she ducked out of the room without explanation for some time while Mr Trump spoke. What was Nielsen’s history with the White House? There have been persistent tensions between the White House and Ms Nielsen almost from the moment she became secretary, after her predecessor John Kelly became the White House chief of staff in 2017. Ms Nielsen was viewed as resistant to some of the harshest immigration measures supported by the President and his aides, particularly senior adviser Stephen Miller, both around the border and on other matters like protected status for some refugees. Once Mr Kelly left the White House last year, Nielsen’s days appeared to be numbered. She had expected to be pushed out last November, but her exit never materialised. Conversely, during the Government shutdown over Mr Trump’s push for funding for a border wall, Ms Nielsen’s stock inside the White House appeared to rise. But in recent weeks, as a new wave of migration taxed resources along the border and as Mr Trump sought to regain control of the issue for his 2020 re-election campaign, tensions flared anew. Mr Trump insists that the arrival of immigrants across the southern US border constitutes a national emergency. He recently threatened to close the border, or parts of it, if Congress did not change US laws to fix what he called immigration “loopholes”.